The Indian Health Service (IHS) Limb Preservation Winter Meeting is an innovative, evidenced-based, one-day conference that attracts a multidisciplinary team from the IHS, tribal, academic, and other healthcare entities, including vascular, endovascular, podiatric, wound care, and primary care professionals. The Summit focuses on wound healing, vascular, and podiatric interventions. please call Daryl at 888-802-8410. The Pedal Loop: Holy Grail or Standard of Care? This activity has been planned and implemented in accordance with the standards and requirements for approval of providers of continuing education in podiatric medicine through a joint provider agreement between the New York College of Podiatric Medicine and PRESENT e-Learning Systems. 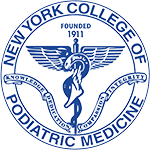 The New York College of Podiatric Medicine (NYCPM) is approved by the Council on Podiatric Medical Education as a provider of continuing education in podiatric medicine. The NYCPM has estimated this activity for a maximum of 5.5 continuing education contact hours. Professional Education Services Group (PESG) is accredited by the Accreditation Council for Continuing Medical Education to provide continuing medical education for physicians. Professional Education Services Group (PESG) designates this live educational activity for AMA PRA Category 1 CreditsTM. Physicians should only claim credit commensurate with the extent of their participation in the activity. A maximum of 5.5 AMA PRA Category 1 CreditsTM will be awarded. The New York College of Podiatric Medicine (NYCPM) is approved by the Council on Podiatric Medical Education as a provider of continuing education in podiatric medicine. The NYCPM has approved this activity for a maximum of 5.5 continuing education contact hours.